This past week has been quite the rockin' week for me. Our New Bee workshops ended for the year and our year end co-op is coming up this Monday. 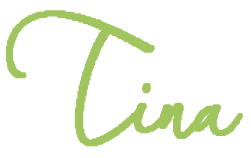 On top of that I have lots to share with you. 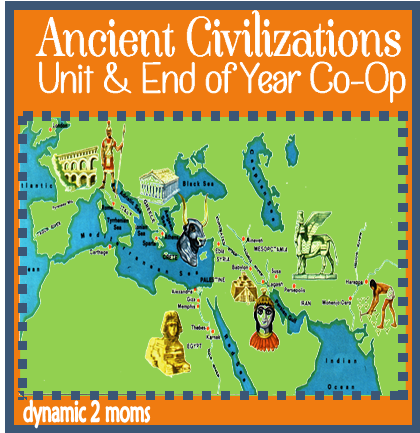 We needed a break from studying about ancient civilizations and because I also needed some time to finish getting ready for the co-op, I created a game for my kids based on our ancient civilization theme. 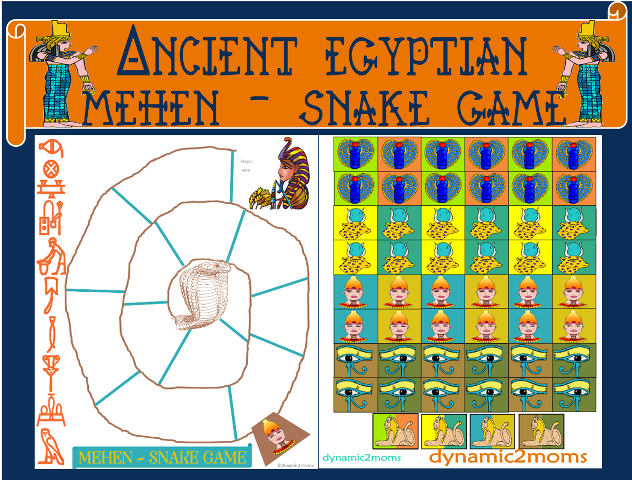 Though the ancient Egyptians had many games, I thought about Mehen, the snake game which was popular. 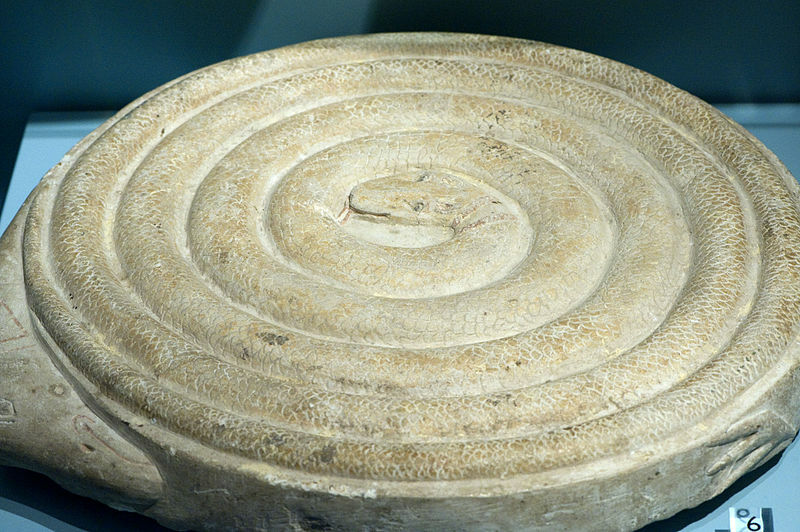 The game was called snake because the stone board represented a coiled serpent with its head in the middle. This could easily be made with clay too and it would probably look a little more ancient, but it would be easy enough to make if you wanted to go all out. 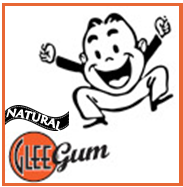 I wanted something that I could make quickly. So we read up on a few rules we found and I whipped out a gameboard. We had some crafting jewels laying around and we grabbed those as tokens. 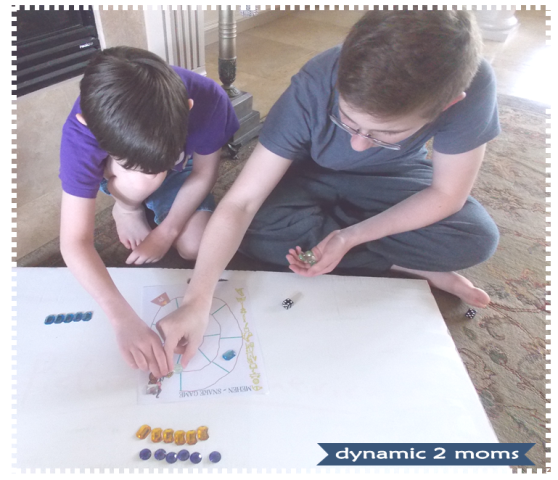 I wasn't sure how this game would go over with the kids so I let the "pros" check it out. We all agreed it was a nice break to our day and it was pretty inexpensive to make because I printed it off on cardstock. I wanted it on letter size paper in case we wanted to store it in our lapbook or notebook. I put a few final touches on it and overall we had a great last few days as we took off time and played games. Download here Ancient Egyptian Snake Game. 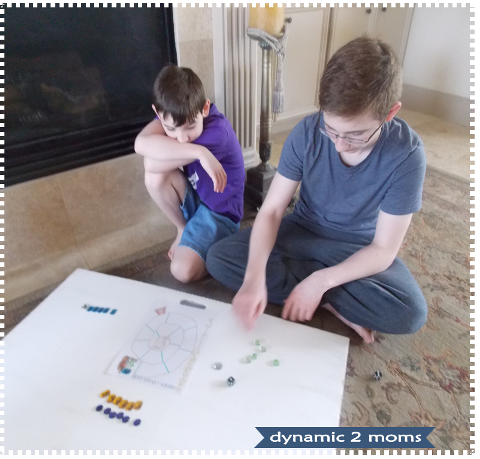 Download this game/game board and use with your unit. I will be working on Tiny's costume for the co-op Monday. I can't wait to show you what we did on that along with our co-op pictures too. I don't want to overwhelm you with posts but the lapbook is ready too but since the co-op is next week, I will share that with you afterwards. My pantry is also looking smokin' hot and well I have some other things on my mind I want to share.